The world of theater is as vast as any other form of art and entertainment. A great medium of expression and creativity, theater serves for multiple purposes. For some it's a platform to present their talents, for others it's a source of relaxation and fun. No matter what purpose is taken into account, theater has remained an important field since its inception. It has seen major changes during its evolution from classic to contemporary, but one thing stays constant: its universality as an art form. What primarily started as the performance of various rituals; greatly evolved as an independent activity for leisure and fun. Today, a wide range of theatrical styles and genres are presented to an audience with diverse tastes and preferences. 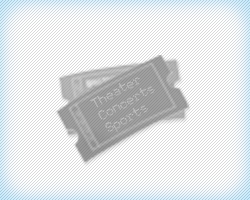 Some of the famous theater types include drama, tragedy, comedy, musicals and improvisation. Of course, there are a number of auxiliaries and sub-genres within these main categories that have their respective target audiences. Some of the basic elements that constitute theater include light, sound, music, stagecraft, makeup and costumes. Each one of these elements is a separate field and requires different expertise to master them. These aspects became more sophisticated as the time progressed. Modern theaters combine technology and science with these basic building blocks to give visually more appealing and technically more advanced performances. These concepts are used to enhance the theatrical experience of the modern audiences and to meet their demands in 360 degrees. From ancient to current times, there are certain names that have fashioned the theater and its genres with their unique style and artistry. One of the well-known theatrical periods include the Shakespearian era that continues to shape and inspire theater around the world. Besides William Shakespeare, modern playwrights such as George Bernard Shaw, Henrik Ibsen and Tennessee Williams have characterized drama with their signature style. These dramatists gave a new dimension to playwriting and introduced a new trend in theater. There are some plays and musicals that are considered as classics and their influence can be seen in various fields of entertainment till the recent times. With the passage of time, the trend of musicals has increased and most of the existing theaters are filled with dance and music. They combine catchy dance performances, enticing music and good orchestration that engage the audiences of all ages. Names such as The Phantom of the Opera, Les Miserables, Chicago and The Lion King have set a new standard in modern musicals. With musicals such as these, Theater tickets have become popular among the performing art lovers. Whether it's the most-wanted musical or a crowd-pleasing play, you can buy theater tickets of all sorts to match your preferences. You can choose from a wide variety of options and enjoy popular events happening in any part of the world. With different deals, you can select the one that goes with your requirements. So satisfy your craving of quality entertainment and experience the world of theater at its best.